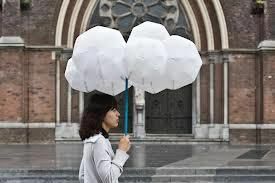 Have you ever felt as though you have a rain cloud over your head while everyone else is enjoying sun? Do not allow the rain to leave you feeling blah. The rain will not last forever,and before you know it your turn under the cloud will come to an end. When you look at others walking in sunshine, remember they may actually be experiencing a drought! Bring your umbrella and wear your raincoat. Half of dealing with situations is being properly prepared for what you are going through. The other half is maintaining a positive attitude during these times. Give more service than is required and it will be returned to you tenfold!